Gators are allowed but golf carts are not under an ordinance approved by the Fremont City Council Tuesday allowing utility type vehicles on most city streets. Councilman John Anderson was absent. City Administrator Dale Shotkoski said the ordinance was proposed at the request of several citizens. The ordinance, crafted by City Attorney Paul Payne and interim Police Chief Jeff Elliott, specifics that UTVs cannot be operated on 23rd Street (U.S. Highway 30), Broad Street (U.S. Highway 77), Bell Street or Military Avenue, although they can cross those streets at traffic light controlled intersections. The ordinance defines utility vehicles as 48-74 inches in width and not more than 135 inches long including the bumper, weighing 900-2,000 pounds, with four or more tires, and seating designed for at least two people to sit side-by-side. Golf carts, go-carts, three-wheelers and ATVs do not qualify. 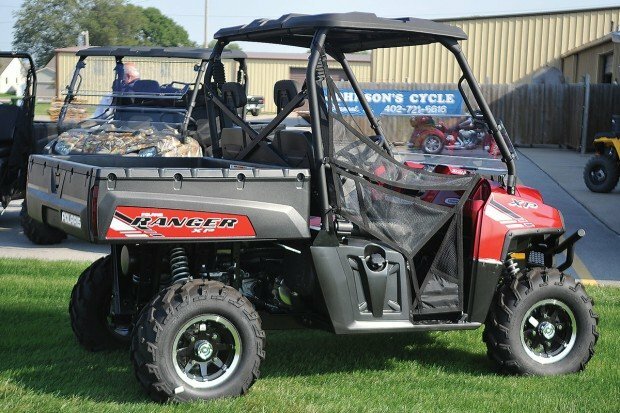 UTVs must have headlights, taillights and turn signals, a brake system in good condition, adequate mufflers, an approved spark arrestor and roll bar. Safety belts are also required. The vehicle must be equipped with a bicycle safety flag and carry liability insurance. 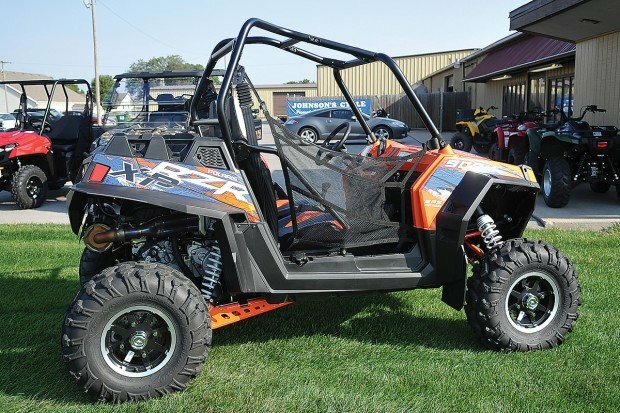 Registered UTVs can be used only between sunrise and sunset, and cannot exceed speeds of 30 mph. Licensed drivers at least 18 years of age must apply for a permit at the police station and pay a $25 fee. * Accepting a $175,000 Community Development Block Grant for housing rehabilitation and authorizing a grant administration contract with the Northeast Nebraska Economic Development District. The grant is expected to help rehabilitate three owner-occupied homes and three rental properties. * Awarding a $228,782 bid to Fire Guard of Omaha for a new ambulance. It was the lowest of three bids received. * Awarding a $144,804 bid to Guarantee Roofing and Sheet Metal of Norfolk for roof replacement at Keene Memorial Library. The project is expected to take place next spring. * Designating a pedestrian crossing for the East Military Avenue Trail at Johnson Road. * An agreement with the Nebraska Department of Roads for the Rawhide Creek Trail. * First reading of an ordinance rezoning a portion of the Deer Pointe subdivision to allow development of four more residential plats. * An inter-local agreement with Fremont Public Schools for a joint fiber project. The city and Department of Utilities share of the $395,000 project is $149,000. * Awarding a $137,840 bid to Luxa Construction Co. Inc. of Blair for paving and utility improvements in conjunction with a hangar project at Fremont Municipal Airport. * Amending the city pay ordinance. The amendment was set for second reading, but the council waived the three-reading rule and passed it. * Continued until Nov. 27 consideration of returning CDBG economic development revolving loan funds to the state.